This Sunday, who will control Congress? Three weeks to go until the midterms. And President Trump is trying to make it all about him. Remember this. A vote for David is a vote for me. Republicans are still riding a post-Kavanaugh surge of enthusiasm on the Senate side. Whatever deficit in enthusiasm Republican voters may have had going into the fall election has been eliminated. While Democratic anger at the president continues to fuel a likely takeover on the House side. I am outraged, because this is outrageous! And Democrats debate whether to fight Mr. Trump on his own terms. If they go low, we kick them. With us this morning, two challengers: the Republican Senate nominee in Missouri, Josh Hawley, and the Democratic nominee for governor of Georgia, Stacey Abrams. Plus, Washington Post columnist Jamal Khashoggi is feared killed by Saudi forces. President Trump promises severe punishment, but not if it hurts U.S. arms sales. I don't want to hurt jobs. Senate Republicans, meanwhile, are speaking out. If it did happen, there would be hell to pay. My guests this morning, Republican Senator Marco Rubio of Florida, and former CIA Chief, John Brennan. Joining me for insight and analysis are NBC News Chief Foreign Affairs correspondent, Andrea Mitchell; Peter Baker, Chief White House correspondent for the New York Times; NBC News National Political reporter, Carol Lee; and Lanhee Chen of Stanford University. Welcome to Sunday. It's Meet the Press. Good Sunday morning. Tip O'Neill famously said, "All politics is local." He was right then. Boy, is he wrong now. In the age of Trump, all politics is national. Republicans, mostly in Senate races, want to remind voters how much they love President Trump. Democrats, mostly in suburban House races, want to remind voters how much they dislike President Trump. And Mr. Trump wants to remind everyone how much he loves to be at the center of it all, flooding the zone with made-for-TV appearances all week long. We've never seen one party take over a chamber of Commer-- Congress while the opposing party gained seats in the other chamber. But that could happen this year. President Trump's popularity in red America and his toxicity in blue America suggests Democrats could win back the House, while Republicans actually pick up seats in the Senate, making- securing their majority for, perhaps, four or more years. In other words, red is getting redder, blue is getting bluer. And then there's purple. Those Independent voters who have a blue tint to them, they could end up deciding this whole thing. But the question, with three weeks to go until the midterms election, is this. Will the Republicans' post-Kavanaugh momentum continue? Grabbing a lot of victories, folks. Can you handle it? President Trump, eager to energize his base and kick start his 2020 campaign, has a message for Republican voters. The midterm elections are all about him. A vote for David is a vote for me. And a vote for Steve is a vote for me. And a vote for Cindy is a vote for me. A vote for Marsha is really a vote for me. It's an argument Democratic candidates are also making in the suburban House districts the party needs to win back control. Barbara Comstock might as well be Barbara Trump-stock. Mike Coffman didn't stand up to Donald Trump. Plain and simple. This week, Mr. Trump toured campaign battlegrounds from Council Bluffs, Iowa, to Erie, Pennsylvania, Cincinnati, Ohio, to Richmond, Kentucky, called into Fox News, and answered questions from reporters, taking advantage of a lull in stories about the special counsel probe to tout Republican momentum. We are more energized, as Republicans, than ever, I think, ever before. We just got poll numbers for some of the Senate races. In many of those Senate races, Republican candidates are hoping to sustain energy among Mr. Trump's core supporters without alienating Independent voters. Which one would you consider yourself aligning more with, Senator Jeff Flake, or President Donald Trump? I'm a Martha McSally Republican. I'd say that I'm a Mitt Romney Republican, maybe a George Romney Republican, as well. And I'm kind of a Martha McSally Republican, also. Still, in the aftermath of the Supreme Court fight over Brett Kavanaugh, Republican voters remain energized. And Democrats are facing the hard realities of the Senate landscape. In order to net the two seats they need for the majority, Democrats need to win at least one of the three contests that currently lean Republican: North Dakota, Tennessee, or Texas, even if they hold every other competitive Democratic seat and win both Republican toss-ups. At this point, the chances of my party being in the majority in the Senate are miniscule. I always thought they were very low. While Republicans borrowed Trump talking points. Angry, left-wing mob. The left-wing mob. Mob. Some Democrats gearing up for 2020 argue that, to beat Mr. Trump, they may have to be more like him. Michelle would--says that, when they go low, we go high. No, no. When they go low, we kick them. That's what this new Democratic Party's about. A message some 2018 candidates in competitive races are rejecting. I'm going to quote my grandmamma. She used to say, "Never, ever wrestle with a pig. You both get dirty, but the pig likes it." Joining me now from Miami is Republican Senator Marco Rubio of Florida. Senator Rubio, welcome back to Meet the Press. Before I get to the primary subject I want to talk to you about with Saudi Arabia, I want to start with Hurricane Michael's impact particularly to the eastern part of the Panhandle. It does seem as if this was a pretty devastating hit to that part. A lot of people having flashbacks, myself included, to what happened to Homestead. How concerned are you -- Panama City, Mexico Beach will never get rebuilt the way they would like to be rebuilt? Is there more the federal government-- is there more resources you want from the feds here? Is it -- is there some military support that's necessary here in order to speed up the ability to get to some of these communities? Maybe. And it's available. What people forget here, and I always want to remind them, is when it comes to a hurricane, the state government is in the lead. It is the state government who is in charge of the response. The federal government stands in support. The state government tells the federal government, "We need this, and we need that." So far I have not heard of anything the state government has asked for that the federal government has not stepped forward to provide. Whether there needs to be more, that's something that we'll see in the days to come. But I know the federal government, including the Department of Defense, is standing ready to offer even more if the state says it needs it. I know that political norms get erased all the time now. But one of the norms got erased in Florida, which was in the middle of a hurricane coming and hitting the shores, there was always this ceasefire on television. No political negative ads. That didn't happen this time. You had the Republican Party running negative ads against Andrew Gillum. You had some super PACs running negative ads against both Rick Scott and Bill Nelson. Is this just par for the course or would you like to see this sort of put back into place? Should the candidates be more steadfast in taking politics out of hurricanes? Yeah, look, I don't think anything's ever going to be the way it once was, especially at the eve of the election. We're four weeks away. My fundamental question is whether politics is standing in the way of dealing with a hurricane. That would be the one thing I'd have a real problem with. And I don’t think television ads -- whether they're right or wrong from a moral perspective, I don't think television ads keep candidates from doing their job. For example, you saw the mayor of Tallahassee went back to Tallahassee. And the governor's doing his job there. And Bill Nelson, my colleague, was focused on the hurricane as well. Ron DeSantis is not in office right now as an elected official, but his running mate Jeanette Núñez is. And she was at the EOC and has been doing her job as speaker pro tempore of the state, the number two in the Florida House. So I think that's the thing I would look at. As far as norms are concerned, you know, politics is different today than it used to be. And I don't think it's going to go back in many, in many instances. All right. I want to move to the disturbing story of the missing journalist Jamal Khashoggi, Washington Post columnist. I know you've been very focused on this. First of all, as a member of the Intelligence Committee, do you know if he's dead or alive? I do not. And I don't think anyone does. I think the Turks have a very strong opinion and claim that there's evidence that they're sharing with U.S. intelligence officials. I have not seen that yet. Suffice it to say it's been a long time now since this happened. We know the last place he went into was a Saudi consulate. There is no video of him exiting. If there was such video, I would imagine the Saudis would have produced it by now. And I'm not prepared to pass judgment on something I don't know for 100% certainty. But I can tell you he walked into that consulate, and we have never seen him come out. And something happened. And if he's not alive, then it is the Saudis who would know what happened. Yeah, do you know if we got intelligence beforehand that his life may be in danger? Well, I'm not going to discuss that on television. Suffice it to say that I certainly think that if in fact, it’s not, if in fact the Saudis are responsible for this-- and we're going to learn that. I truly believe we'll know the answer to that. It's not something that people would look at and be surprised by. This is clearly someone that they were unhappy and uncomfortable with. What I do think is shocking is if in fact he was lured into a diplomatic facility, murdered, his body chopped up, and that they sent a group of people down there to carry this out, that would be an outrage, it would be an atrocity, and there would be a swift response certainly from Congress. If U.S. intelligence knew in advance that he was in trouble, do you think we had a duty to warn him? Well, I think that's our policy, is if we know that someone has -- is facing a specific threat, that we would let them know that. I think in this particular case I'm not sure that he was not aware of it. For example, I'm not sure that he was ever going to get on a plane and fly back to Riyadh or Saudi Arabia. And there's been open press reports that there were efforts to get him to come back and he was not ever going to do that. What I don't think anyone knew, and what I have never seen any evidence of, is that somehow walking into a diplomatic facility in a third country would endanger his life and that's the most shocking part. If this had happened in Saudi Arabia, it would still be outrageous. But that's different from saying in a third country, not Saudi Arabia, in a diplomatic facility, you're going to walk in and then they're going to do that to ice you. I mean, that’s -- that would be something we've never seen before, certainly from a country that's an ally. Well let's talk about potential punishments here. The president said one thing is off the table. He would not cancel any arms sale to Saudi Arabia, saying that that would hurt America more than it hurts Saudi Arabia. If that is the case, how does that not come across as us, as the United States putting a price on our human rights policy? Well, I would have phrased it very differently. Arms sales to Saudi Arabia are important not because of money but because he's right when he says they'll buy it from somebody else. And when they buy it from us, they need replacement parts. They need training. They need the sort of things that give us leverage over them. So there's advantages to arms sales that have nothing to do with money. That said, okay, our moral credibility, our ability to call Putin a murderer because he is, our ability to call Assad a murderer because he is, our ability to confront Maduro in Venezuela or any of these other human rights atrocities like what we see in China, all of that is undermined and compromised if we somehow decide that because an ally who is important did that we're not going to call it out. So I will just say this to you with full confidence: if this is proven to be true, there is going to be a response from Congress. It's going to be nearly unanimous. It's going to be swift. And it's going to go pretty far. And that could include arms sales. But it could include a bunch of other things as well. Are you -- are you -- But the president doesn't look like he's ready to commit as far as you just went. Well, at some point, like I said, I think when all the evidence is in, we'll see. I saw an interview after the fact after he said those things about the arms sales where he said, "If in fact this proves to be true, there will be a lot of punishment for it." It actually impacted the stock market's view of Saudi Arabia. So ultimately I do believe that the White House, if this has happened and it can be proven, will do something significant about it. I believe they'll do it. I know Congress will do it. Alright. Senator Marco Rubio, Republican from Florida, as always, sir, thanks for coming on and sharing your views. And joining me now is the former Director of the CIA, John Brennan. And he's a one-time station chief in Saudi Arabia. Director Brennan, welcome back to Meet the Press. As I was sort of joking with my staff earlier, it seems as if, in the early parts of the Obama administration, if there was a problem between the Obama administration and Saudi Arabia, you were the one sent to try to mediate the situation. So let me ask you this. Would -- What is the CIA doing right now? What would you be doing right now, trying to figure out this mystery? Well, I'd be working with our long-standing partners, the Turkish intelligence officers, as well as Saudi intelligence officers and others, to see what information they might be able to share with us, but also looking at what types of other collection capabilities that we have and going back into systems and databases and to see whether or not there are any indications of what might've happened, when Jamal Khashoggi went to the Saudi consulate. We have pretty tight intelligence sharing with the Saudis, do we not? How likely is it that we would have a hint that they were -- they had some issue with Khashoggi, that maybe they were going to arrest him, or maybe they were going to detain him? How likely is it that we had some clue about something? Well, I think it was pretty open that the Saudi government had issues with Jamal Khashoggi, because of his writings. And so I wouldn't be surprised if U.S. diplomats, intelligence officers, were mindful about the potential for something to happen to Khashoggi, an arrest, a detention. But unfortunately, it seems like more than that. What's our duty? What's the U.S. government's duty, if you have this information, you know if the Saudi government might get aggressive with you? Be careful when you, you know -- He was a U.S. resident, but he was a Saudi citizen. Do we have a duty to warn him? If there's credible intelligence that somebody is under threat of violent attack, that would trigger a process to decide about the ability to warn that individual. I don't know what type of intelligence we had before his disappearance. But if it was an arrest or detention or a capture of Jamal Khashoggi, he is a Saudi citizen, even though he's an American resident. So I am unclear exactly whether or not that threshold for duty to warn was triggered. But it would have to have some type of threat of violence associated with it. I'm just curious, the release of Pastor Brunson by the Turks. The president said there was no connection. Any connection here? Could there be some sort of this is the Turks' way of trying to get a little more on the U.S. side, because maybe they want the United States to believe their version of events here? Is there any connection you see? I think one can make the argument that the Turks are trying to improve relations with the United States, not just for this issue, but also, just more broadly, particularly on the economic and the political front. The coincidence of the two, in terms of Khashoggi's disappearance and Brunson's release, is sort of interesting. But I don't know what it was that might have been brokered between Ankara and Washington. There's a lot of people who seem to be pretty confident that this was likely an order from MBS and the government in Saudi Arabia. Where are you on that? Well, I think there are two points. If Khashoggi had disappeared in Turkey when he was at a hotel or a private residence, I think there is plausible deniability on the part of the Saudi government. But he disappeared when there is video evidence of him being at the consulate, the Saudi consulate, a diplomatic mission, under the full control of Saudi Arabia. So their denials ring hollow, very much ring hollow. To go after a permanent resident of the United States, who writes for TheWashington Post, and doing it on foreign soil, at a diplomatic mission, to me, it would be inconceivable that such an operation would be run by the Saudis without the knowledge of the day-to-day decision-maker of Saudi Arabia. That's Crown Prince Mohammad bin Salman. I think it is just beyond reality. And so I think it's up to the Saudis now to explain what actually happened. Would it matter, if their explanation is, "This was a rendition gone wrong. This was an accident. We didn't, quote , mean to kill him."? Well, I think there has to be a full accounting of it. And I think there have been calls for some investigations now. King Salman, Mohammad bin Salman's father, has had a long-standing reputation of being fair, pious, but also meting out justice to members of the royal family. And there have been princes in the royal family, in the past, who have been held to account for some transgressions of the law, including executions. So I think it's going to be up to King Salman, if he has the mental capacity right now and the political strength. If. You said, "if." You don't think the king has the mental capacity right now? Well, he is aging. And there are indications that he has failed a bit, and whether or not, now, he is able to muster the strength and the capacity to find out what happened, including the role of his son. The issue with Saudi Arabia, it seems as if it's always been a transactional relationship between the United States and Saudi Arabia, no matter which party's been in the White House. Isn't it understandable that Saudi Arabia always thinks, at the end of the day, the U.S. needs them more and will overlook these things? Is that what MBS was possibly gambling on? Well, the strength of the U.S.-Saudi relationship goes back many, many years. But I think in particular, MBS has been emboldened. He is a very bright, ambitious, and aggressive individual and, clearly, is trying to make changes in Saudi Arabia. But his relationship with the White House, with Donald Trump, as well as with Jared Kushner, I think, probably gave him increased confidence to do some of these things in a more aggressive way. Look what has happened in Yemen, in that awful, awful, tragic war. But I also think that Donald Trump's siding up to authoritarian leaders around the globe, the Kim Jong Uns, the Dutertes, and others, Donald Trump's condemnation of the press that's critical of him, Donald Trump's continued dishonesty and denials of reality, even when all facts point against it, I think that has encouraged MBS to go along this road. Would you put MBS in the same column as Putin and Kim Jong Un? I would put him, clearly, in the authoritarian, autocratic camp, absolutely. All right. John Brennan, former Director of the CIA. Thanks for coming on, sharing your expertise and your views. Much appreciated. When we come back, those midterm elections and why it may all come down to the man who's not even on the ballot. Panel is next. Welcome back. Panel is here. Lanhee Chen, the Director of Domestic Policy Studies at Stanford University; NBC News national political reporter, Carol Lee; Andrea Mitchell, the NBC News chief foreign affairs correspondent and anchor of Andrea Mitchell Reports on MSNBC; and Peter Baker. He's the chief White House correspondent for the New York Times and coauthor of a new book called Impeachment: An American History. He writes the Bill Clinton chapter, for those wondering. Nice to see you. Let me start with where we just left off with former CIA director John Brennan and, of course, with Senator Marco Rubio. Here's this full-page ad from the Washington Post, their own full-page ad, saying, "On Tuesday, October 2nd, Washington Post columnist Jamal Khashoggi entered the consulate of Saudi Arabia in Istanbul. He has not been seen since. Demand answers." Andrea Mitchell, you heard Marco Rubio. You heard John Brennan. What did you hear? Well, I heard that Congress is going to take action, when they prove this. And they will prove it, whether they claim it was an accident, a misguided kidnapping attempt. Kidnapping, rendition, is also violence. It's also taking someone. And arguably, if we had intelligence, it's unclear, from my reporting, when we had intelligence. It may have been real time or afterwards or after the fact. But there probably should've been a warning, if we had any way of stopping it. But in any case, there will be action from Congress. The president's hand is going to be forced. They've already, in the Foreign Relations Committee, gone with the Magnitsky letter, which is a way of saying to the president, "You are now under an affirmative requirement, legal requirement, to investigate this," which the administration did not want to do, investigate it with a time limit. And sanctions are coming. And this is going to be sanctions against-- they've got leverage, the Saudis: oil, the markets. I mean, this is a big foreign-policy crisis. And we are in a war with them in Yemen. With them, helping support them, yes. To say nothing of Syria. So this relationship, the president is not going to be able to stand firm against taking action. Peter Baker, Lanhee Chen, Carol Lee, take away the word, Saudi Arabia, and insert the word, Russia, right? Yea, that’s what it feels like to me. 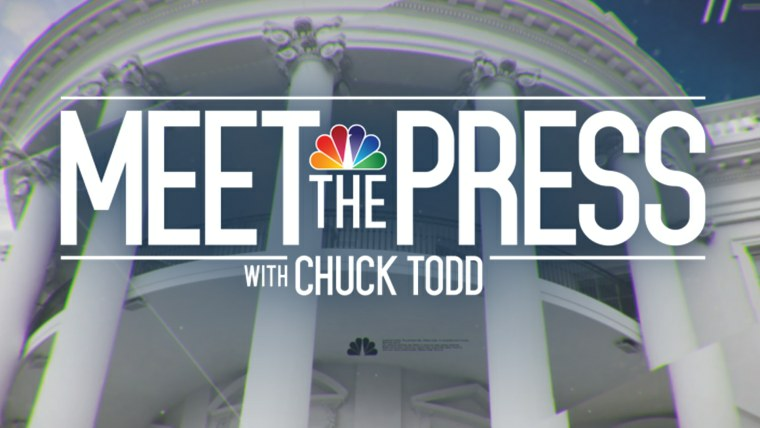 CHUCK TODD: It feels like it's the same thing. Congress is united. CHUCK TODD:The president is isolated. What strikes me is MBS is a lot like the early Putin, which is to say there were moments when people found him to be a reformer, a modernizer. There was hopes that he was going to be somebody who could be a friend with the west. But in fact, back at home, he was cracking down pretty hard.We're seeing the same thing, I think, in Saudi Arabia. The difference is, when Russia poisons a former Russian agent on British soil, we can unite against Russia, because Russia is not an ally. As Andrea just said, Saudi Arabia is an ally. It makes it much more complicated. We're stuck between two friends here: a NATO ally, Turkey, and Saudi Arabia, who has been a friend since the 1940s. It puts any president in a tough position. Lanhee, the way we treat Saudi Arabia. Well, but we shouldn't lose sight of the fact that there are some regional dynamics here that are very complicated. Granted, we certainly have an important alliance with the Saudis. But let's not forget who benefits, if we somehow have a fracturing of our relationship with the Saudis, right? The Turks are ready to step in. The Qataris care, as well. And don't forget Iran, right? So this whole region, actually, is very complicated. To the extent that we believe the Saudis did, indeed do this, huge problem. And we obviously have to do something about it. But let's not forget, there are other players in the region that have interests, as well. So let's not be so quick to run to judgement, unless we have complete and thorough evidence that suggests this actually happened. Well, I would also say that, if you step back and look at the way that some officials in the government, particularly in the intelligence community, viewed MBS, there was deep concern about his, the way he operates. He's very young. He's 33 years old. He is ruthless. He's seen as a little bit reckless. He's seen as somebody who has this, a lot of rope from this administration, in particular, and yet, is somebody who, because of his impulses, needs a check from the United States. And so he hasn't had that. And this is the kind of thing that intelligence community officials have been worried about for quite some time. All right, I want to shift a little bit to President Bush. By the way, I think we're realizing MBS does care what the elites in this country think. And boy, have the elites turned against him, bigtime. Except for the investment community. Well, we'll see how they react in the next couple of days. Let me turn to the president here, because he does seem to be, well let me put it, what Andrew Sullivan, no Donald Trump defender, here's what he writes. "Trump’s record as a force of destruction is profound … but as the months tick by, there’s a decent case that Trump’s proactive accomplishments are beginning to add up, as well: a huge tax cut, two Supreme Court justices, wholesale deregulation, renegotiation of NAFTA, isolation of Iran, and a broader reboot of bilateral nationalism on the world stage." Lanhee Chen? Well, this was always the essence of the Trump argument, particularly to Republicans who were a little bit hesitant about him. "Whether you like me or not, I'm going to get these things done that you care about." And particularly in these Senate races around the country, we are seeing how that is animating itself, right, particularly with respect to the Supreme Court fight. And what the Kavanaugh nomination fight did was to remind Republicans of just how important that central promise was, to nominate Supreme Court justices who would uphold certain views of the Constitution. And I think the president is now coming back to that. He's nationalizing this race. And I think that's benefitting the Republicans in some of these key Senate races. He feels really good right now. Yes he does. You can see it. And you can see it. And part of it is all of these accomplishments that he feels like he's been racking up from, you know, the trade deal with Canada and Mexico to the way the economy, 3.7% unemployment. But also, the Mueller investigation has not been front and center. You don't have Stormy Daniels front and center and things like that. And so that really makes him feel really good. He loves being out on the campaign trail. We're told he's going to do four to five rallies a week, from now until the election. He's got a three-day swing in the western part of the U.S. coming up this week. And so he also feels like he's his best messenger. CAROL LEE: And so he won't stop talking. Montana, Nevada, Arizona is where he's headed next. Yeah, I know. I was at two of his rallies this week, in Iowa and in Pennsylvania. He gets a charge out of the crowd. The crowd loves him. There are thousands of people there. There are people outside, waiting to get in. But that can be ephemeral. That can also be illusionary to any president, as we know. Look back at President Bush. Look back at President Clinton. Look back at President Obama. They had big crowds during midterm elections. They were not on the ballot. And they lost big seats in those elections. So this doesn't necessarily mean anything. But it does pump them up. And he's no longer in that sort of restrained, kind of like, things-are-going-to-go-bad mode. And he's on the offense rather than the defense. By the way, while you talk, I have a scroll here of all the stuff he's done over the last week. I mean, it is amazing. He’s like, if there's a camera, he's going to make sure he's in front of it. This is really Trump being Trump. You can see how much he loves being out at the rallies. He's having these primetime rallies, even though everyone isn't covering them and carrying them live, as they had in the past. And he misspeaks. But fact checking him doesn't seem to have any penetration. This is a man who is really enjoying being president. And you can see it. Well, he's enjoying being the president that he's created. The president he’s created. That he has created. It doesn't mean doing briefings, meetings, or doing, you know, hard things. But he's also going to claim credit, is claiming credit for Korea, which is not a success. But this is part of his. Alright, guys, I'm going to pause it here. We're going to be back in a moment. We're going to actually talk to two people who have to win votes in three weeks: Democrat Stacey Abrams, who hopes to become Georgia's next governor; and Republican Josh Hawley, who's running to unseat Claire McCaskill as a senator from Missouri. Welcome back. There are 35 Senate seats in play in this year's midterms, including 27 seats held or controlled by the Democrats and nine by the Republicans. And Republicans hope to use this very friendly map to increase their narrow 51-49 majority. Meanwhile, the numbers are pretty much reversed in governors' races. There are 26 Republican seats up along with just nine Democratic and one independent. And Democrats are the ones bullish about their prospects on that side of the ledger. So we wanted to talk to some of the challengers in these races. And we have two with us this morning. Stacey Abrams is the Democratic candidate for governor in Georgia. And Republican Josh Hawley is challenging Claire McCaskill for her Senate seat in Missouri. Both candidates join me. And we're going to begin with Josh Hawley in Columbia, Missouri. Mr. Attorney General, welcome to the show. Let me ask a -- let me ask the question about your race this way. If you win, is it fair to say the number-one issue on, on voters' mind was judges and Justice Kavanaugh? And if you come up short, and Senator McCaskill wins reelection, is it fair to say the number-one issue on voters' minds was healthcare? Is it fair to say that you both have two different views of what the most-important issue is to Missourians? Well, I do think we have different views, Chuck. And I do think that the debacle with Justice Kavanaugh, what the Senate Democrats did in that case, is hugely motivating to Missouri voters. They cannot believe the conduct of these Senate Democrats. They can't believe the smear campaign that they launched, and by the way, how they drug (sic) Dr. Ford through the mud, as well, and now, this mob behavior that we're seeing all over the country. It is motivating folks. But of course, you know, on healthcare, as well, Missourians are paying outrageous healthcare costs, up 145% price increases in the state. They want to see that change. Claire McCaskill is responsible. Let me ask you this. If you get elected, are you going to vote to repeal and replace Obamacare? Yes, I would. I think it's absolutely vital that we get rid of the failures of Obamacare, we bring down costs, we protect people with pre-existing conditions in the law with a mandate, Chuck, that ensures that we do it, but that we multiply options for families. You know, I have had family after family, in this state, come up to me and say, "Look, we can't afford our health insurance. We're having to get a second job, send a spouse back to work." It shouldn't have to be that way. It is that way, because of Senator McCaskill. -- And well, I know that you believe it can be passed. But frankly, it never has been, as you know. In your lawsuit, as attorney general, you filed, you could've severed the issue of pre-existing conditions. How do you plan on protecting pre-existing conditions? -- a five-year-old and a two-year-old. I do, I do. Oh, yeah, I do, absolutely. I do. What's not constitutional is the requirement that people buy health insurance they don't want. But it's absolutely constitutional to say that insurers have to cover people with pre-existing conditions. Congress should mandate it. People like my own little boy, who has a pre-existing condition, should be covered under the law, but apart from Obamacare. We don't have to have Obamacare to do it. And that's the big difference here. Claire McCaskill wants to protect Obamacare by -- with any condition, by any means necessary. I think we need to clear away the failure of Obamacare and put patients back in charge of their healthcare. All right, final question for you. We found a clip of a TV ad you ran when you were running for attorney general in 2016. Here's what you said in that ad. Jefferson City is full of career politicians just climbing the ladder, using one office to get another. I'm Josh Hawley. I think you deserve better. You, within two years, immediately ran for the U.S. Senate. What would you say to yourself in that ad? I would say that the future of our country is at stake. And I would say you can see it with the hearings with Justice Kavanaugh. You can see it in what we're seeing out on the streets now. The future of this country and our way of life here is at stake. And it's incumbent upon all of us to do all that we can. I'm trying to do my part to make sure that we fight for the future of this country and fight for Missouri. Claire McCaskill has not, but I will. All right. Josh Hawley, Republican nominee for the U.S. Senate in Missouri, I appreciate you coming on and sharing your views. Be safe on the campaign trail, will you? Thank you so much. Thanks, Chuck. You got it. Thank you. And joining me now from Atlanta is Stacey Abrams. Welcome to Meet the Press. Let me start with the impact of Hurricane Michael particularly on southwest Georgia. I know your opponent is going to be touring the area this week in his capacity as secretary of state. He says to see how local officials are going to be able to see if they can handle the start of early voting tomorrow. Let me ask you what do you know about the area, how things are going? Are they ready to be worrying about early voting yet? Or do they need to be worrying about getting the power on? I think it's going to be a combination. Areas like Albany, or Glascock County, Terrell, and parts of southwest Georgia were very strongly devastated. I know that Georgia Power and the EMCs are doing the best they can to turn power back on and deliver it to as many people as possible. But luckily, early voting allows for major centers to accept votes. And I hope that the priority will be in terms of voting making sure that those places are ready. But I know all of our hearts are reaching out to everyone in those areas. I've gone through a hurricane. It's a devastating process. And it takes months for recovery to happen. But I think that the governor and the state leaders have done a great job of responding very quickly. I'm curious. What's your message to residents of the area? You could be the governor in a couple-- you could be elected governor in a couple weeks. Suddenly the task of rebuilding this part of Georgia is on your to-do list. What's your message to those voters of why you would be better prepared to lead the recovery than your opponent? Number one, I've been through this myself. I understand that it's not just the physical plant that's a problem. It's making sure that people have access to the resources they need. And often when the cameras turn off and when people go home and stop volunteering, that's when the real trouble starts. When people who have been unemployed, are continuing to try to figure out how they can make a living and take care of their families. And so I will leverage the responsibility of the governor, the ability to connect with state and local officials and federal officials to make certain that resources don't just end when the memory of the storm passes for the average person. And I think that's what you need. Someone who's thinking about this not as a three-day or three-week return but really as a 10-month, 12-month recovery period. Let me ask you about an issue that's been front and center for your campaign over the last week to 10 days. And that is this issue of rejected voter registration forms due to this issue of exact match. If it isn’t an exact match, then suddenly the registration gets thrown out. 70% of these registrations belong to African American voters. Do you believe this is an intentional decision by your opponent and the office that he runs? Absolutely. I was part of a coalition that sued him in 2016 to force him to stop using this process. And a federal judge agreed with us, said that he had unlawfully canceled more than 33,000 registrations. And they forced him to restore those registrations. In response, the Republicans passed a law in the 2017 legislative session to allow him to do it again. And so the challenge is twofold. One is that we know this is a flawed system that has a disproportionate effect on people of color. But it also has the ability to erode trust in our system. I know that Secretary Kemp is well aware of this. And it's part of a pattern of behavior where he tries to tilt the playing field in his favor or in the favor of his party. This should not require the erosion of public trust. Are you confident this is going to be a fair election in November? I am. And here's why. The 53,000 that we know about do have the ability to go and cast a ballot. The problem is it's a subjective system with 159 counties and thousands of precinct poll workers being asked to substantially verify. That's why this is problematic. Because we are creating another set of hurdles for people who simply want to exercise their right to vote. But my organization, working with the Democratic Party, we've put together the largest voter protection effort in the state's history. And we have national organizations that are also paying attention. And I think we can make this work. I want to ask you about a comment that Eric Holder made, Former Attorney General. He was campaigning for you. And it's sort of blown up into a bit of a national story. And he essentially said, "When they go low, we go high. No, no, no, no. When they go low, we kick them." He goes on to explain what he meant by that. That it was more proverbial than anything else. But where do you come down on this? Are you on the Michelle Obama side? When they go low, you go high and you stick to it? Or what Eric Holder's preaching? "No. Everyone once in a while, you gotta to kick them." I think there's a hyperbolic moment that happens in every campaign. But if you watch my campaign from the beginning through today, I have always focused on three issues: education, jobs, and healthcare. I don't point shotguns at people in my commercials to try to create histrionics. And I don't use sloganeering to try to get good things done. My responsibility is to show Georgians how I will lead this state. And if they watch my campaign from the very beginning in June 2017 through November 6th, they will see the same consistent leadership that I will bring to the governor's office. Sounds like you're siding with Michelle Obama. I won't put words in your mouth, but that's what it sounds like to me. Fair enough? I am siding with the people of Georgia that I intend to be a strong leader. Stacey Abrams, I'm going to leave it there. Be safe on the campaign trail, and I appreciate you coming on and sharing your views on Meet the Press. When we come back, the issue that was once a big selling point for Republicans, that Democrats are now more than happy to talk about. Welcome back. Data Download time. In the last four national elections, Republicans have consistently attacked Democrats on Obamacare, pledging to, quote, "repeal and replace," the law. But Democrats have made healthcare and covering preexisting conditions their issue in 2018. In fact, according to data analyzed by the Wesleyan Media Project, healthcare has been a topic in 44 percent of ads for Democratic House candidates and 50 percent for Democratic Senate candidates. Republican House Candidates mentioned healthcare in 34 percent of their ads. But for GOP Senate candidates, it doesn't even crack the top five. So what does all this look like on the airwaves? Patrick Morrisey's lawsuits to take away health care from people with preexisting conditions. Deny coverage for people with preexisting conditions. Fought to protect coverage for preexisting health conditions. She told us she's protect people with preexisting conditions. Get the hint? Those ads were just from Arizona and West Virginia, two states with two very different races. Since September 1st, there have been 12 ads in the Arizona Senate race touching on healthcare. 11 of those ads specifically mention protections for pre-existing conditions. And ten of those support the Democratic candidate, Kyrsten Sinema. And even in West Virginia, a state President Trump won by over 40 points, the incumbent Democrat, Joe Manchin, is running on, you guessed it, healthcare. Ten ads in that race on healthcare since September 1st. Eight mention pre-existing conditions. All support Manchin. The Democrats have plenty of divides in their party. But the one issue that unites them right now is healthcare. And it can play everywhere. This is a radical shift from the last two midterm cycles when at times, anti-Obamacare ads outnumbered pro-Obamacare ads by a margin of 10 to one. Healthcare clearly remains a dominant issue for voters across the country. But this year, it's the Democrats running on offense rather than defense on the issue. When we come back, Endgame and the thing we've never seen before that just might happen on election night this November. Coming up, Endgame, brought to you by Boeing, continuing our mission to connect, protect, explore, and inspire. Endgame, brought to you by Boeing, continuing our mission to connect, protect, explore, and inspire. Back now with Endgame. I think it's fair to say, Carol Lee, that the conventional wisdom, we put up some headlines here from the past week, has shifted big time when it comes to the Senate versus the House, this idea of a split decision, Republicans gaining in the Senate, Democrats gaining in the House. Senate seem to be falling away. Here's Phil Bredesen, even, the Democratic nominee in Tennessee, admitting as much. Take a listen. At this point, the chances of my party being in the majority in the Senate are minuscule. Judges versus healthcare. Are judges winning? Yes, they certainly seem to be for now. You know, the Senate was always going to be a tougher haul for Democrats. But certainly, the winds have shifted. Polls are narrowing in certain races. That is not the message that Democrats necessarily want to send, that their chances are minuscule. But they are diminishing. And a lot of it has to do with Kavanaugh. I think the question is whether or not that energy that Republicans have can hold over the next several weeks. Because Democrats are also energized in their own way. But there's definitely this sense. And even Senator Cornyn said, I believe, on Friday, that there is a chance that Republicans could pick up seats in the Senate, which would be highly unusual. And so there is a shift happening. And whether it shifts back between now and election day, you know, remains to be seen. I was just in Missouri for a few days. And it does feel as if it is just two different races. The Democrats are running a campaign on healthcare, Lanhee. The Republicans, Josh Hawley, I could see it in his ads, are running a campaign about conservatives, judges, and the importance of what the Senate majority means. And Missouri's one of those states that has a red tint to it. And it seems you could see the Kavanaugh effect in real time. No, absolutely. It's absolutely helped Josh Hawley in Missouri. Midterm elections are a lot about convincing voters, what is it you stand to lose? What is it you stand to lose? And for Republicans, the pitch is, "If a Democratic Senate gets elected, you're going to lose these judges." For Democrats, it's, "If a Republican Senate gets elected, you're going to lose Obamacare." And that's why the pitch has focused in on judges and healthcare so thoroughly. And I think the challenge is, in some of these states, you know, Arizona, Nevada, you're starting to see the race creep away from Democrats. And it's happened in a slow but study fashion. In Nevada, Jacky Rosen, the Democrat, has not been ahead in a public poll since the end of September. In Arizona, you've got Kyrsten Sinema, all this opposition research coming out on her recently, being out of touch with Arizona. And so these races are creeping away. But the meta-narrative here is really about, "What do you stand to lose?" And I think Republicans have prosecuted that case effectively. And I think it's unclear that the Democrats have really energized their voters. Hispanic voters have not been well reached out to. And many Hispanics, especially in Texas, are really concerned about registering for anything, whether they're legal or not. They don't want to be part of the government. They're so afraid of ICE. And really, rather than being angry by what's happened on immigration, they're really afraid of the government right now. And registration and voting is being part of the government, telling people where you live. The other thing is millennials may not be as excited and energized as Democrats had hoped. Where is the gun debate? Where are these other issues that had been animating young people, you know, several months ago, after Parkland? And it seems, it does feel that the Republicans are regaining on the Senate side. You know, Peter, when you look at this from 30,000 feet, which you are asked to do a lot in your position at the Times, a result that had Republicans gaining in the Senate and Democrats winning the House is actually, pretty much, emblematic of the divide in this country. Rural America's in one place, which is where the Senate battle is. Suburban America's in another, which is where the House battle is. That's right. And what we set up, then, is a two-year period of complete and total gridlock and fighting. And you think the Kavanaugh thing was ugly? Just imagine if you've got a split Congress, a president who wants to play off of them to benefit his own possible reelection in 2020, possibly, a Democratic House that launches an impeachment inquiry. It may not go all the way further. But it's certainly going to have a lot of subpoenas and investigations and so forth. You thought the Kavanaugh thing was ugly? We only saw the preseason. We're about to head into the main season. The president is doing 60 Minutes. And something leaked out about Jim Mattis. And Lanhee, Jim Mattis was a colleague at the Hoover Institute in Stanford of you. The president, he has a tell of when somebody's about to lose their job. He says, "I think they're kind of a Democrat." He one time referred to Rod Rosenstein that way. When he was asked about the future of Jim Mattis, the Secretary of Defense, he said, "I don't know anything. But you know, he's kind of a Democrat." Well, boy, that's a tell. Is he a Democrat? Not that I've ever seen. I mean, I think this would be a staggering finding to anybody who's spent time around him. I mean, look, Jim Mattis has been a stabilizing force for national-security policy during this administration. He's been somebody that's presented a very reasoned point of view. I think a lot of people would be very nervous, if Jim Mattis were departing this administration. That having been said, it does seem like the writing's on the wall with respect to some of the tells that we're seeing out of the president. Well, and their relationship has been strained for some time. I mean, you can say that Jim Mattis has been, you know, the levelheaded cabinet member who's put forward very traditional positions. But the president hasn't really been listening to him for months, in terms of whether it's on Iran or other issues. And so there's been tensions in the relationship to begin with. The Woodward book didn't help, either, with Mattis, did it? I don't think Jim Mattis, though, is going to go voluntarily. And so that sets up a situation where the President of the United States is going to fire Jim Mattis or push him out. That's a bigger lift than, say, Rex Tillerson. However, with Pompeo, at State and with Bolton and his deputy, Mira Ricardel, now at the White House, there's been a poisoning of the atmosphere, certainly from Bolton and his deputy, against Jim Mattis. And that relationship, as Carol points out, has been very strained. You know, I think it's going to be hard to fire him. But I think there are big changes coming after the midterms. And they are telegraphing that he feels empowered. Shocking that we're going to have a midterm transition like nobody's ever seen. Anyway, before we say goodbye, we'd like to know your thoughts on the 2018 election. So if you want to get something off your chest and do it anonymously, do it at our ElectionConfessions.com. And check out what other voters are saying, too. You don't want to admit what you are believing? Admit it here. Anyway, that's all we have for today. Thanks for watching. We'll be back next week. Because if it's Sunday, it's Meet the Press. Congratulations, Jordan and Jeff.